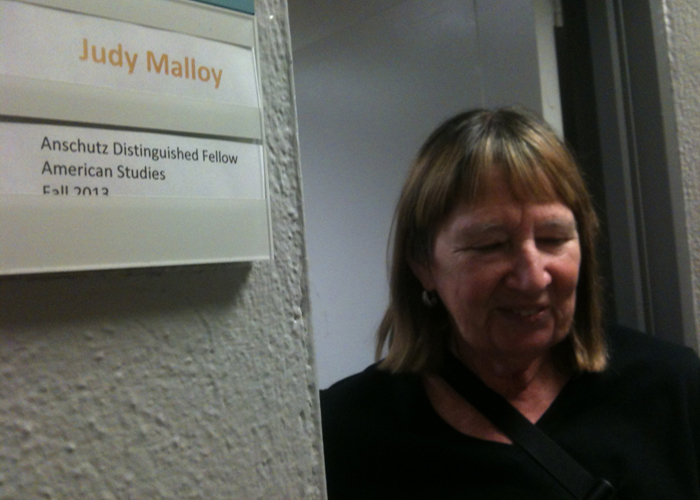 Judy Malloy is a poet/researcher who works at the conjunction of electronic literature, magic realism, artists books, and information art. A pioneer in electronic literature, in 1986 she wrote and programmed the early hyperfiction, Uncle Roger. In the ensuing years, her hypernarratives -- including its name was Penelope, called one of the electronic literature classics by Robert Coover -- were published by Eastgate. She has taught at Princeton as a distinguished fellow, as a Fellow at the Rutgers Camden Digital Studies Center, and at SFAI. Her research and practice includes artist/consultant at Xerox PARC; Content Coordinator for Arts Wire, a program of the New York Foundation for the Arts; and Editor of Social Media Archeology and Poetics (The MIT Press). Her work has been exhibited/published internationally including, among many others, the Library of Congress; Sao Paulo Biennial; Walker Art Center; Hammer Museum; Bibliothèque Nationale de France, and The Iowa Review Web. 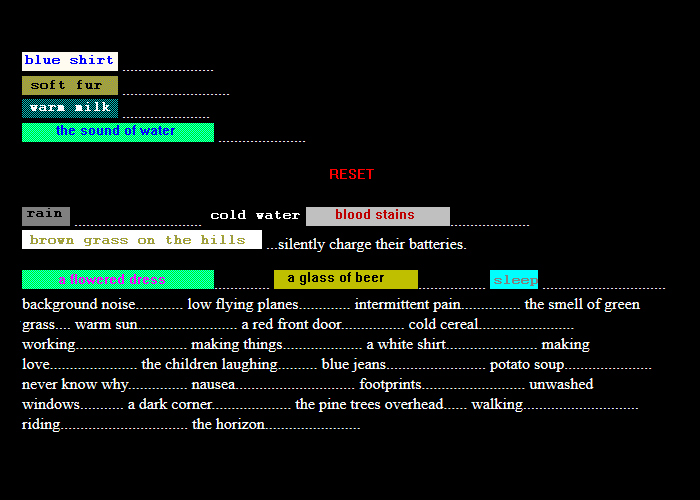 "When this narrative hypertext poem was serially published from 1996 to 1999 it must’ve been a different reading experience from the site that we now have before us. The layering of narrative and poetic elements accumulating over time, shifting under the weight of memory and forgetfulness, with echoes and links to guide new and experienced readers alike, is an experience that is difficult to recreate. The closest thing to it is to read the lexia in numerical order, whether by going to the directory listing or by changing the number of the lexia in the address bar. However, reading the complete work with the tools provided is a rich undertaking in and of itself. Malloy offers her readers several interfaces to explore this web of 232 lexias, the most important of which is a textual map that consistently contextualizes the poem within a field of experiences and provides thematic links to other lexia, much as she did with Uncle Roger. The surrounding texts enrich the indented and in boldface narrative, allowing for multiple readings of the poem.